Judith sandal is an iconic summer essential from A.P.C. The design reminds of the original Swedish clogs - As if the wooden sole would have been replaced with suede coated wedge heel. This creates an modern overall impression to the shoe. Criss-cross straps are made from natural untreated vegetable tanned Italian leather, characterized by delicate nature that will develop a natural patina. The color will deepen and gain a beautiful vivid colour. Strap is adjustable with roller buckle. Sole is finished with cemented outer sole in leather and a rubber tab under . 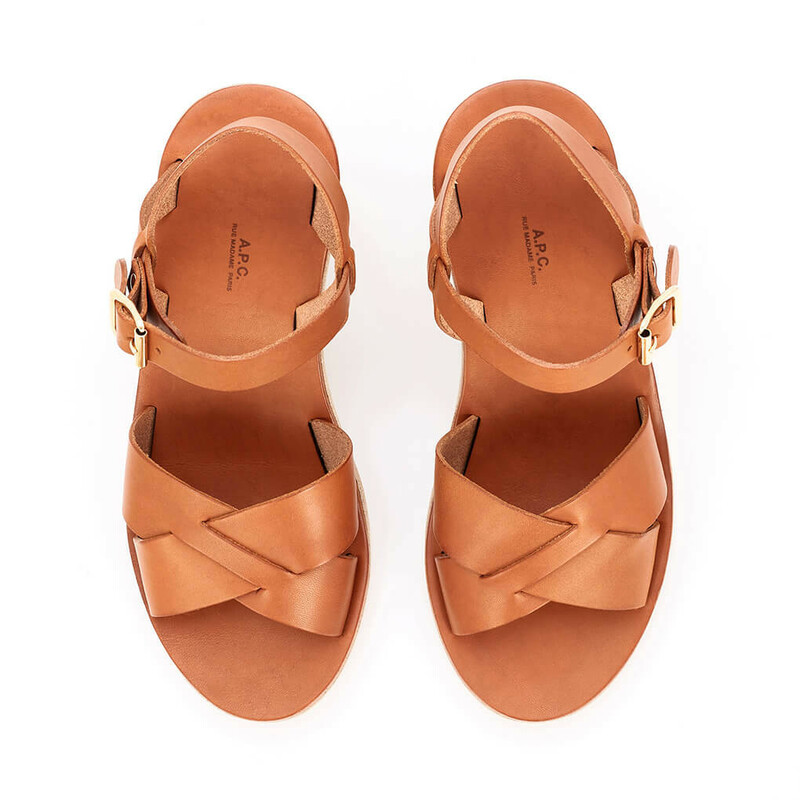 Read more..
Judith sandal is an iconic summer essential from A.P.C. The design reminds of the original Swedish clogs - As if the wooden sole would have been replaced with suede coated wedge heel. This creates an modern overall impression to the shoe. Criss-cross straps are made from natural untreated vegetable tanned Italian leather, characterized by delicate nature that will develop a natural patina. The color will deepen and gain a beautiful vivid colour. Strap is adjustable with roller buckle. Sole is finished with cemented outer sole in leather and a rubber tab under the heel for durability. This shoe fits true to size. 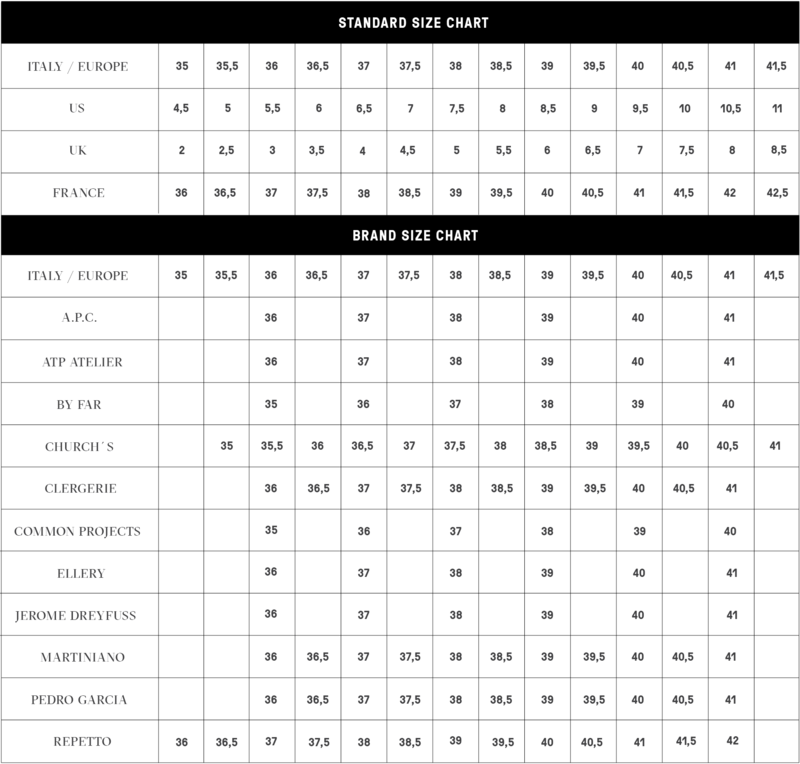 Take your normal Italian/ European size. 1 x Judith Sandals Caramel was added to your shopping bag. 1 x Judith Sandals Caramel was added to your wishlist.